Owning a home comes with additional responsibilities. Part of the obligation is to ensure that the relevant taxes are always paid on time and the house remains in top shape. 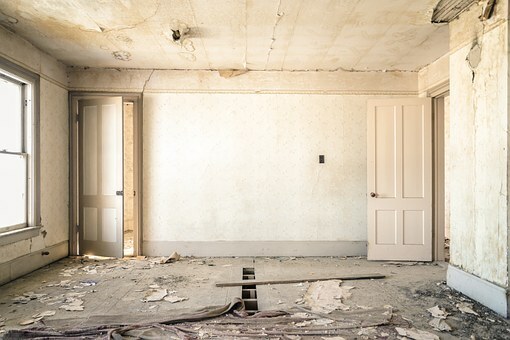 If the house is more than ten years old, then it is probably the right time to plan a couple of home renovations because there is a big possibility that you will find some visible and permanent damage that needs replacing as soon as possible. So, these are some tips to get started with the project. Money always plays a significant role in home improvement projects because most of the time you will have no choice but to end up spending on the things that require replacement. One good example is the concrete flooring of your outdoor patio that needs replacing using resin bound permeable paving material to make it look like brand new and make it last longer. So, it is essential for you to know exactly how much you are going to spend and what materials are needed for the entire project to avoid wasting more than what you can afford. If you want a total makeover, then you can also apply for loans to fund your project. The best time to start planning for renovations is during the winter season. Then you can begin working on your house come spring and summer time. Nowadays a lot of homeowners are also thinking of doing the renovations all by themselves. There is nothing wrong with DIY projects. You can save a significant amount of money on labour and work at your own pace. DIY projects are also very much fulfilling and fun to do. Before proceeding with any DIY projects make sure that you are capable of doing it and committed to finishing it. Will you hire other people to fix your place? One of the most common questions that many homeowners ask themselves is whether to hire a third-party contractor to complete the project. Let us be realistic in accepting the fact that we cannot complete all projects by ourselves. Contractors, to begin with, are highly skilled in doing repairs and installing different types of fixtures all over your house since most of them have years of experience and are trustworthy to handle major projects. Should you wish to look for local contractors, you can ask for referrals from people close to you or walk into their office and discuss your plans. Most contractors offer free estimates and will give you more than enough time to decide whether to hire their services. Just make sure to only work with trusted and affordable contractors. Home renovation is something that all homeowners take very seriously. Fixing and beautifying your house has a lot of advantages that will not just benefit you but also your entire family. So, if you have the means to spend money and time, then you should pursue whatever home projects you have in mind because it is worth your time and money.